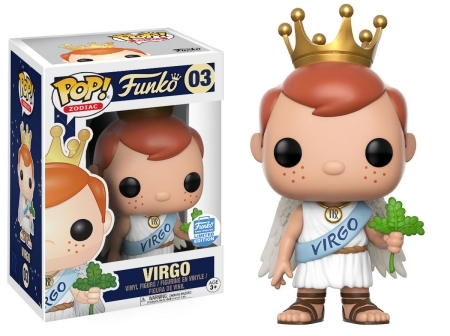 2017 Funko Pop Zodiac gives new meaning to the age-old question: Hey, girl, what's your sign? 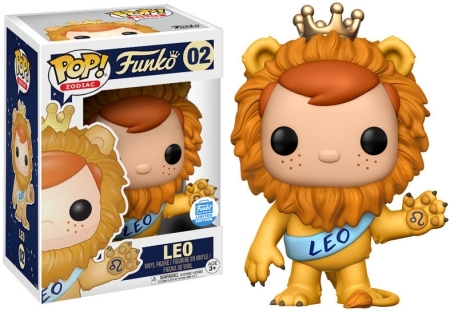 Freddy Funko helps celebrate everyone’s birthday with a themed release each month. 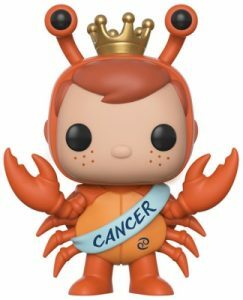 Featuring the company mascot with the respective month's astrological sign as the main focus, the first figure represents those born under the Cancer sign (June 21 to July 22). 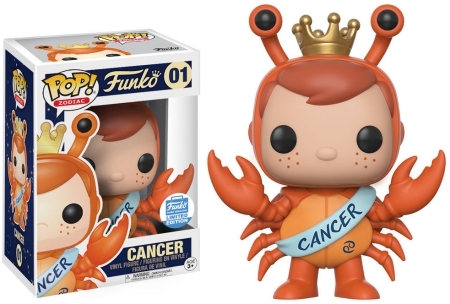 Freddy Funko wears an orange crab suit with "CANCER" printed on a blue sash. 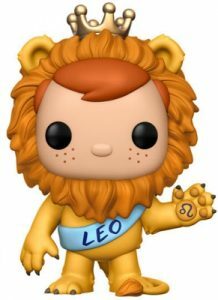 Naturally, Freddy rocks a lion costume, including a mane around his face, for the Leo Zodiac sign. 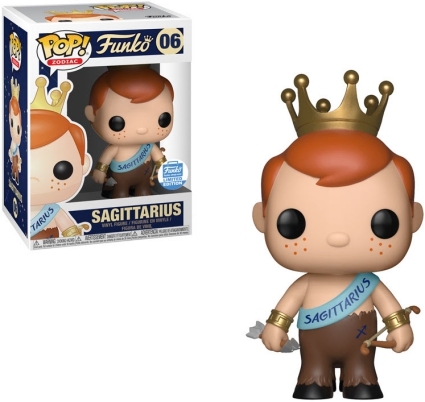 Shop for Pop Zodiac Figures on Amazon. 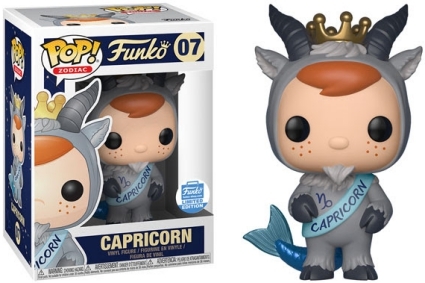 Although there do not appear to be any consistent release dates, the Funko blog does promise a monthly Funko Pop Zodiac vinyl. 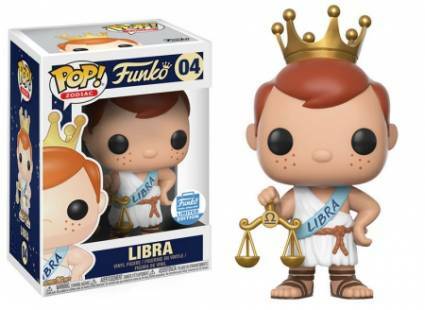 Unlike most limited-edition Funko-Shop Pop exclusives, collectors do not have a purchase limit for the first two figures. However, Virgo is kept to one per person. Please check back often as we will update with any future details and release info. 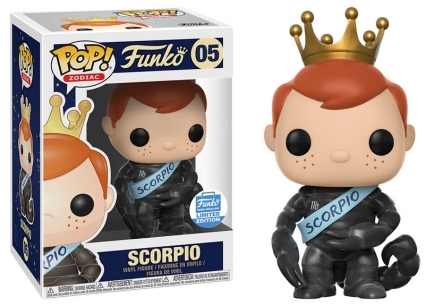 See other Funko-Shop Exclusives with our related guides.